Leading-edge, intelligent outdoor menu boards. Clean, attractive slim design with the option of EYEQ for AI powered real time insights and predictive analytics offering a revolution in the speed of service and customer experience for your restaurant. AI powered real time insights and predictive analytics offering a revolution in the speed of service and customer experience for your restaurant. EYEQ has been designed for the unique requirements of QSR with specialised computer vision techniques and algorithms. 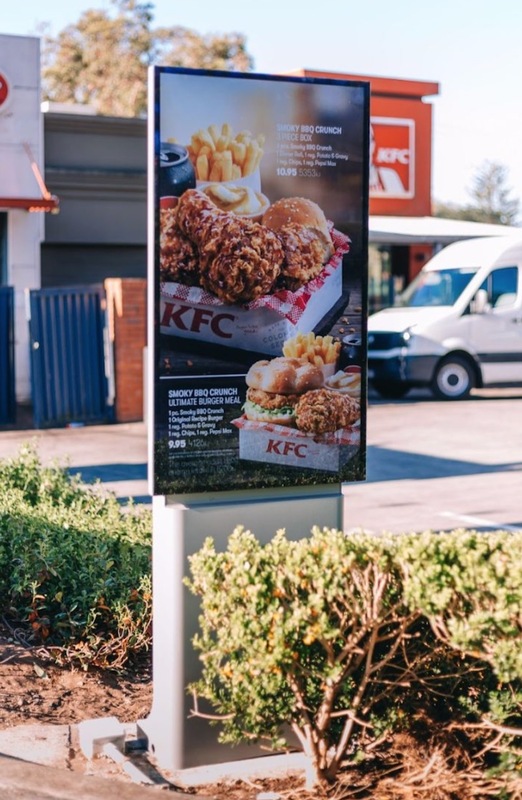 The algorithm times drive-through and human interactions to improve your restaurant’s speed-of-service and customer experience. EYEQ uses AI to machine learn trends and predict patterns which enable you to better determine cooking times, reduce wastage and improve staff efficiencies. 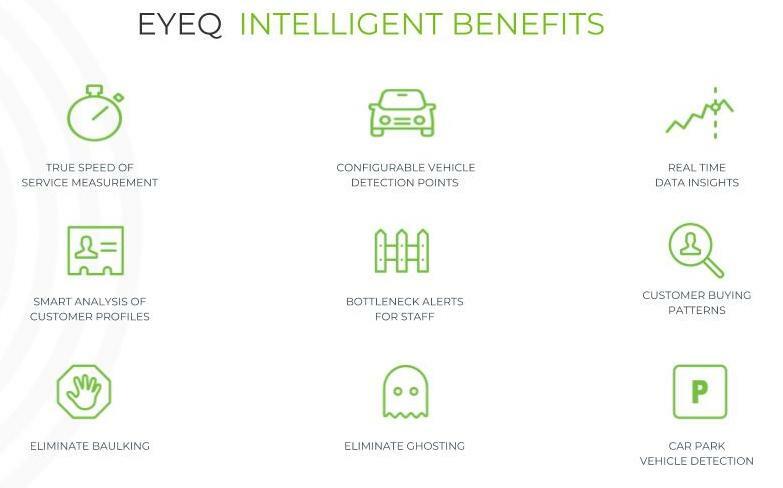 The capabilities of EYEQ are endless, with the ability to recognise balk rates, car order recognition, vehicle tracking and parking timing. EYEQ powers Fingermark’s Customer Kiosks and Menu Boards to deliver an unparalleled level of intelligent service to your customers and ultimately, improvements to your bottom line. Display High brightness sunlight readable digital menu board display. Fully optically bonded vandal-resistant glass. Hosting EYEQ runs on the local media player PC and passes data back to a cloud based service. This enables users to log into the cloud dashboard to review data analytics for the account.